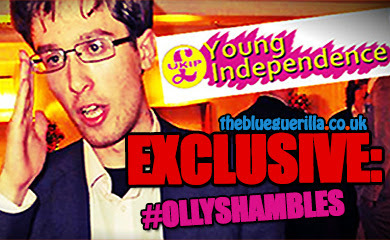 TheBlueGuerilla: EXCLUSIVE: Leaked Document Shows UKIP Chairman & Council Candidate Businesses Had 14 Unpaid CCJs. EXCLUSIVE: Leaked Document Shows UKIP Chairman & Council Candidate Businesses Had 14 Unpaid CCJs. UKIP in Crawley have been sensationally shaken to the core and are in turmoil after it emerged that the Chairman of Crawley UKIP and UKIP's highly probable council election candidate for the Southgate ward in May, Lee Gilroy has closed three businesses with nearly £42,000 of unpaid County Court Judgements, TBG can reveal. 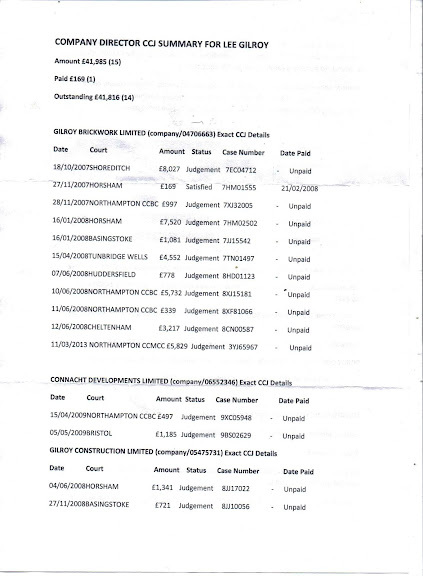 A leaked financial investigation report circulating in Crawley and seen by TBG lists 15 County Court Judgements awarded against various building trade businesses owned and wound-up by Gilroy between 2006 & 2012. The smallest CCJ of £169 issued at Horsham County Court on 27/11/2007 is listed as being the only paid CCJ, with £41,816 still unpaid. A Google search also appears to show that Gilroy has two Director profiles operating, one being "Lee Gilroy" and the other "Lee Richard Gilroy", both with different ID numbers. This was said to be generating much gossip in the bustling bars and restaurants of Crawley last night. Other Crawey sources have told TBG - "Gilroy Brickwork was a victim of the recession, in the end customers & clients owed Gilroy Brickwork Ltd nearly £400k, which was criminal. The administrators advised to close down the company and they would retrieve any money owed, which they didn't and couldn't." Gilroy was a Conservative Councillor from 2008 to 2012 and became Chairman of Crawley Conservatives in February 2013. He then defected to UKIP in August after losing a massive No-Confidence vote by the Crawley Conservative Association amid accusations of bullying. Three months after joining UKIP, Gilroy replaced the existing Chairman who was, according to sources, forced out after unsubstantiated racism claims. 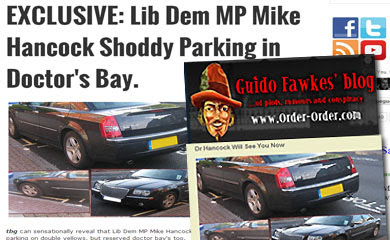 Gilroy then stated in the local rag, Crawley News, that he intended to become the UKIP Parliamentary Candidate in Crawley. Rivals to UKIP in Crawley told TBG the revelations posed "serious questions about UKIP's leadership in Crawley" and their ability to look after the public coffers. Gilroy has revealed to HopeNotHate he intends to put his name forward to become Crawley's UKIP Parliamentary Candidate in 2015. This Crawley UKIP scandal follows Tory turncoat Cllr Karl Williamson being exposed for plagiarising in his weekly UKIP column and reports of him hardly attending any meetings and sunning it up living in LA. Did he declare these issues whilst a cllr? Did he have to? From what you say they were for his company. Surely he is the victim of the recession rather than a criminal mastermind. This is such a load of crap. It is all lies fabricated because the Tories are afraid of UKIP. Nobody would have access to details such as this. Again a personal attack on Lee Gilroy and Karl Williamson....you do not have to be a rocket scientist to work out who is behind this....Cllr Crow.....disgusting behavior and I hope that you are dealt with for posting such venomous lies. This is true. Shame really. Has to resign now. All this information is publicly available if you know where to look. There are known CCJs for three companies of Lee Gilroy - Gilroy Brickwork Limited, Connacht Developments Limited and Gilroy Construction Limited. Gilroy Brickwork Limited had two unpaid mortgages - one with Challenge Finance and the other with Lloyds TSB Bank Plc. The Lee Gilroy Director profile shows six companies, five of which were running at the same time in 2008. The separate and newer Director profile of Lee Richard Gilroy shows two companies, one of which was recently dissolved. 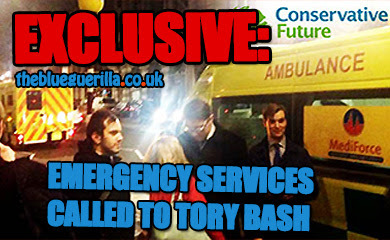 The Tories and UKIP clearly didn't do any checks. I am puzzled as Mr Gilroy drives around Crawley in a top of the range BMW series 7. These cars retail at £60,000. How could he have such large debts and drive such a big flash car at the same time? Has anyone approached UKIP with this information and asked if they are happy to have this geezer as a chairman and election candidate? These ccjs relate to Director Lee Gilory. Has anyone checked the ccj report for Director Lee Richard Gilroy as well as both names for personal ccjs? An intriguing FOI request from a newspaper has reportedly been received by Crawley Borough Council. "Please provide all correspondence from external organisations and individuals received by Crawley Borough Council since May 2008, relating to the seeking of financial payments from Councillor/former Councillor Lee Gilroy"
Perhaps. like he did for Karl Williamson, Cllr BOB Lanzer could lend him £10k? 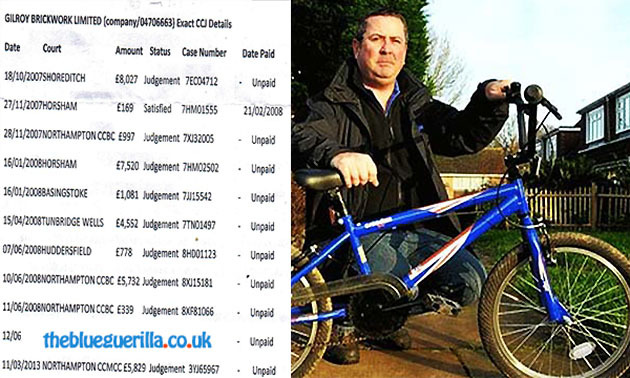 People are moaning about Maria Millar having to pay back £5,800 which she will do, yet here we have a guy who owes £41,800, who seemingly has no intention of paying it back and had thought he had got away with it. How can he lead any local political party or stand for public office? This is a issue of trust and character and it makes UKIP stink. When is Lee Gilroy going to pay what he owes? No way he can stand in an election. @9.36 Think you'll find the tories are crossing their fingers that he will be a candidate. They're likley to use him as well as Williamson to damage UKIP's chances across the whole of Sussex and not just in Crawley. Was so obvious that McCanna was stitched up by Gilroy so that Gilroy could assume the chairmanship of Crawley UKIP. What is incredible is that UKIP learned none of the lessons that the Tories had to learn the hard way about what Gilroy is like. Why has Steve Harris not resigned? Yet again it is so obvious that Lee Gilroy is making anoyomous impersonation comments to smear others, to detract from his own shifty 'business' dealings. The racist comments say so much about UKIP. 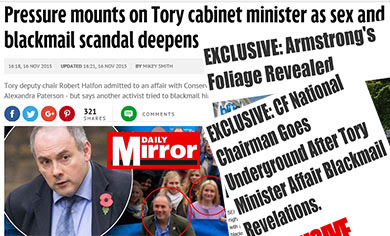 All the dogging stories, grinder, back handers will be revealed soon enough. Theft of business plans and putting fasle names to comments by Peck and Crow will be revealed soon. How is Crow managing to stay a Councillor while being investigated by the police. After a disastrous stint in UKIP in which he destroyed the Crawley branch, Gilroy had the brass neck to try and re-join the Conservatives in May 2015 after the general election victory. It is believed his application was unanimously rejected.